For all your leveling needs, get the Union Tools 36" Professional Aluminum Leveling Landscape Rake. This professional landscaping rake offers incredible strength and durability that will serve you well for years to come. It is perfect for leveling and removing rock from landscapes, playing fields and other surfaces. 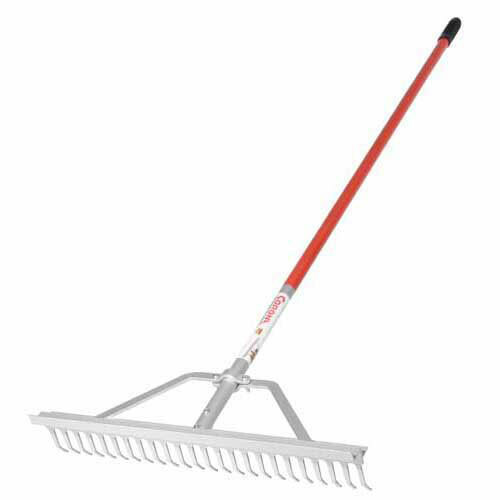 The landscape rake offers a 36" wide aluminum head with long, rounded teeth that provide smooth, non-gouging raking action.